Domino’s Pizza will be jacking up its menu prices by 10 per cent on Sundays. This surcharge has been introduced due to an increase in weekend penalty rates for Domino’s workers. If you’re currently watching your pennies, the smart move here is to avoid Domino’s Pizza on Sundays entirely. Problem solved! Domino’s Pizza says it is “disappointed” about claims some former franchisees underpaid staff. Responding to a Fairfax Media report alleging Australia’s biggest pizza company had squeezed franchisees, underpaid wages and exploited migrant ­labour, Domino’s CEO Don Meij said the company had a zero-tolerance approach to business practices not in keeping with Domino’s values. In a statement, Domino’s said that in the past three years it had terminated the franchise agreements of four franchisees operating seven stores, for deliberately underpaying their employees. Ahead of Domino’s first-half results on Wednesday, Mr Meij also rejected “unfounded allegations” from some of the former franchisees identified as breaching labour laws that the Domino’s model is not profitable enough to allow franchisees to pay their staff at the correct rates according to law. “This is completely false — running a Domino’s store in full compliance with employment obligations has never been more profitable or rewarding than it is now,” Mr Meij said. 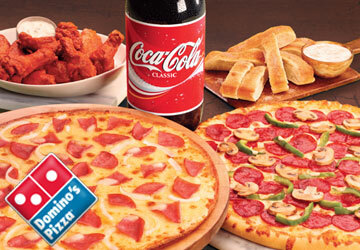 Mr Meij said 97 per cent of Domino’s franchises were profitable after expenses including wages and in the past two years, average franchise profitability had risen 31.7 per cent to $137,000. The current financial year was expected to be another ­record for franchise profitability, he said. Last year, analysts warned Domino’s Australian operations could come under pressure if the food chain was forced to increase weekend and after-hour penalty rates for its pizza makers. Mr Meij said enterprise agreement talks were expected to conclude in the second half of the financial year.